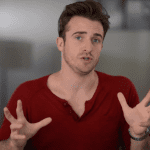 Get The Guy / Matthew Hussey's Dating Advice Blog / The Unexpected Sequel To ‘Kids Talk Dating Problems’ Is Here! This video was created by the incredible Woodhead Entertainment. PS – If the problems in this video sound familiar, stay tuned for something big this week. Starring Rhoda Pell, Carol Mack, Hersha Parody and Larry Marko. Directed by Tony Yacenda. Written by Dan Perrault and Tony Yacenda. Produced by Sean Carrigan, Suzanne Quast, Shane Speigel, Dan Perrault and Tony Yacenda. Director of Photography Alan Gwizdowski. Production Design Michael Bennett Smith, Andie McMeown. Editor Tony Yacenda. Sound Editor Sam Ejnes. Sound Recordist Joshua Gardner. Makeup Artist Lindsay Skinner. 11 Responses to The Unexpected Sequel To ‘Kids Talk Dating Problems’ Is Here! LOL OMG that was so funny and the first video with the kids was hilarious as well! I have your book (which I finished reading in 4 days) and I absolutely loved it! I know you have a DVD program, so I was wondering is your book enough? Or do I need also your DVD? Do the two of them talk about the same subjects or its a sequel to one another? 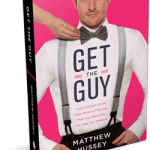 Is there a chapter in your book on “How to Know if he’s “the one” ” ? I can’t seem to decide if I should buy it or not. And by buy, I mean buying bull$hit. Most men are like … seriously ANNOYING. Are all of them stupid ? I’ve turned into a Man HATER! Dress up Sara. Look hot. Have fun. The rest will (magically) fall into place. oh my god that was funny!! No joke, I’ve had some of these same conversations with my 75 year old grandma, who is dating again now that my grandpa has passed away. at 1st I want to thank you for your good tip! remember. thank you for the good tip. I just viewed the video above and I find it a hilarious good video. The way it is transferred out to viewers, it comes about, laughable and educational at the same time. I hope you make a lot more videos. Because I always find it instructive that you use to explain to everyone and in practice also still true. And if anything goes wrong with things, I always watch your videos. Even your first video couple of years ago :)! Always follow your dreams wishes matthew ! !